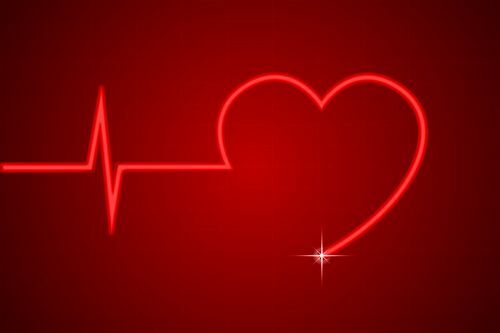 Much like the heart’s job is to pump the life blood throughout your body, sales is what pumps revenue into every area of your business. 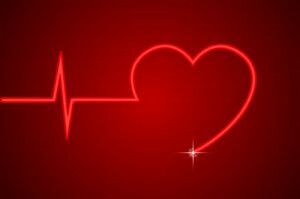 If some part of you is saying to yourself right now, “I don’t sell anything in my business. I’m a counselor, a coach, a florist, a designer, an accountant, etc.” this belief may be costing you clients. This short-sighted view will continue to hinder her business growth. Learning selling skills teaches you how to explain your products and services in a way that creates curiosity and language to move clients into action. When you can’t do this, your business suffers. Some of the highest paid people in large organizations are the sales people. There’s a reason for this. Sales people feed the other departments. Without sales, there’s no reason to have accounting, purchasing, IT, tech support, and almost every other department. You can have the best product or service around, and if you don’t know how to sell it, you might as well go work for someone who does or hire someone to sell it for you. Years ago, one of my largest clients had been trying to hire away his competitors top producing sales rep. The sales person kept turning down every offer from my client. So my client bought the company with a stipulation that the deal was contingent on this high producing sales rep coming to work for him. This was a huge acquisition and in the end made my client millions of dollars over the years. Here’s a counter example, a company I worked with had a competitor hire away one of their top sales people. The response from management at the time was it wasn’t that big of a deal. Their customers would continue to get the same great product and prices, so they didn’t need to worry. Years later, the company has never recovered the revenue they lost by letting the sales person go work for their competitor. This sales person was all about building strong relationships, and his customers followed him to his new employer. He continues to close millions in sales every year, and he’s an excellent relationship builder with strong selling skills. It’s time to get out of your own way and give up this notion you’d don’t need to know how to sell to have a successful business. Selling skills isn’t about being slick or smarmy, it’s knowing how to built long term client relationships, understanding how to recognize buying signals, being able to overcome objections and establishing rapport with your clients. It’s about building trust and making it easy for clients to say yes to working with you. 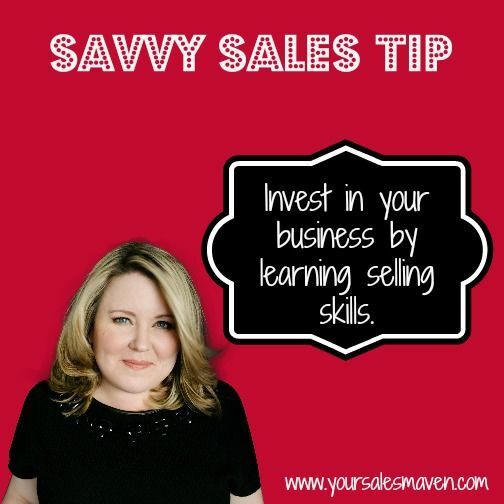 Your Savvy Sales Tip this week: Invest in your business by learning selling skills. These skills will serve you in every area of your business, and the long term ROI will continue to compound resulting in bountiful profits. In 2006, I was the top producing sales rep in North America for the company I worked for and making 6 figures. You might think I had learned all I needed to learn regarding selling. Not true, I knew there was so much more I didn’t know yet which let me to invest thousands of dollars a year in my personal growth so I could up my game. It was due to what I learned over the next 7 years which led me to start my own company. And I continue to invest in my own learning and business today. How many of the skills do you have from the list above? Like anything, to be good at selling you must first learn, then practice what you’ve learned and continue to refine your skills over time. Do something today to invest in your learning and your business.